Never liked film documentaries because to be honest I want something that is not boring. But for the first time, I enjoyed watching one. Yes, this is it. The film documentary that no one should miss. 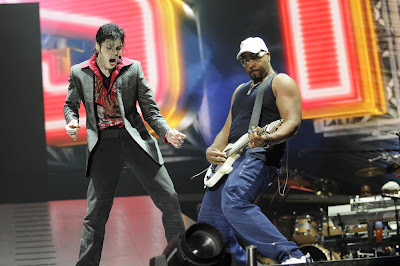 Michael Jackson This is it is a docu-film documenting Michael Jackson's supposedly last concert's rehearsals. 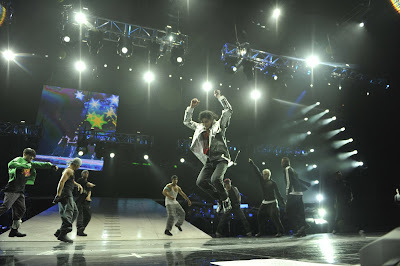 The film is a unique presentation of Michael Jackson behind the curtain while working hard for something that he will give as a present to his fans. Me myself is not really a fan of MJ. I hardly know details about him and I'll admit I'm one of his detractors. But the moment I saw this film, I saw MJ on a different perspective. Other than being a performer, MJ is a friend, a brother, a perfectionist of his own art and also a believer. You will enjoy his classic songs fused with new dance moves and music videos made specially for the concert like "Smooth Criminal", "Thriller", "Billy Jean", and be captivated by his heart warming tracks like "I Just Can't Stop Loving You", "Human Nature" and "Man in the Mirror". As a matter of fact, according to the local box office reports, MJ's This is it had already garnered a total of P33.2M in just 6 days. This proves how people really love Michael Jackson and his music. This film is his legacy. Directed by Kenny Ortega and distributed by Columbia Pictures. Catch this film's limited run that will soon end very soon. Grab the chance while you can.